In order to support this belief, our aim is to do things differently to what you may have been used to in order to make Chiropractic as available, affordable and effective as possible. We are a home based practice at the heart of the Carse of Gowrie, a 5 minute drive from Dundee and 15 minutes from Perth so very available to our local community. When you hear our prices you will be pleased to know that we are the most affordable not only at an individual level but a family level too. As for effective we use a neurologically specific technique called the Neuroimpulse Protocol (NIP) which was developed for use on children because they cannot tell you what is wrong or where needs adjusting. This technique allows us to pin point what underlying patterns of dysfunction are present within the body and where a chiropractic adjustment is required. 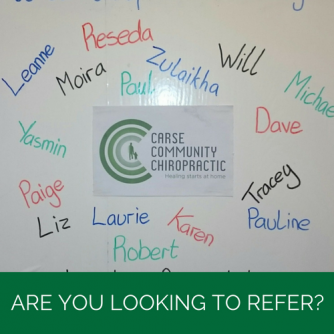 As a result of us working the way we do then, before joining us on your journey to better health all our new patients have the opportunity to join our Chiropractic Care Class which is open for all members of the public regardless of whether you have done a consultation with us. 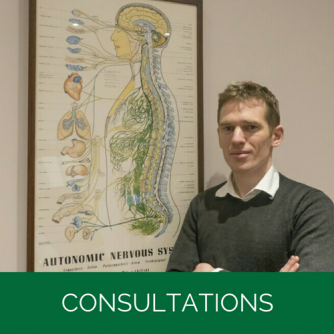 This is a free talk with one of our Chiropractors at the practice on either a Monday at 6.30pm or a Friday afternoon at 1pm. We are also available to do this at your business, social or sports club here. This talk gives us the oppurtunity to welcome you to the practice and build upon your understanding of what chiropractic is, how chiropractic works and how our practice works. 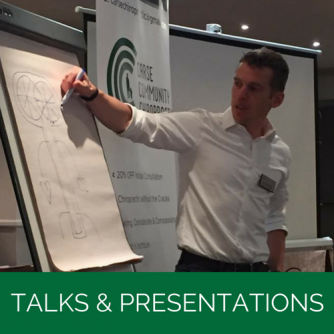 We have discovered that those patients who have attended our talk get the very best out of the care we have to offer and we want you to do the same. Call one of the team to book a seat now for you and your family. This may sound odd. How many of you have ever been to a doctor where you have had the opportunity to come to a class before undertaking any type of care? Let us explain why we do this. Chiropractic is relatively unknown. There is a lot of confusion, a lack of clarity and contradictions to what chiropractic is and is not. When you come here you are going to spend time, money and energy to help improve your health through chiropractic. We would like you to know before you start what you are getting yourself in to. If this is what you are looking for, great, we can begin your journey. If not, great, you know what we can do should you wish to come back in future. The main thing is that you will know and be able to make an informed decision as to whether or not you want our care in this practice.